но можно и так почитать, посмотреть. 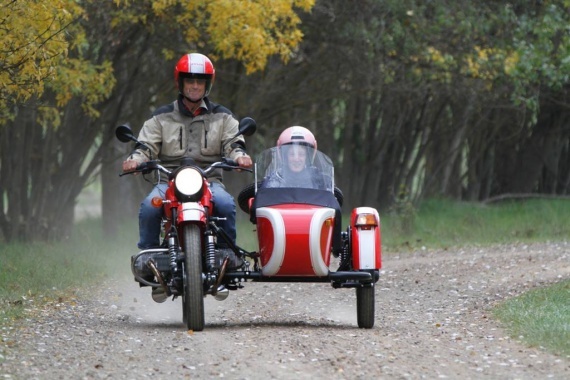 “Finally the energy of these new Urals makes them a better distance tourer. Gear changes are less frequent and so are the fuel stops. We can now do more than 250 km on a tank regularly and when you open the throttle, the motor is much more willing. On a recent trip down the Oxley Highway to Wauchope, i couldn’t help noticing how stable the steering is and the bike feels more precise to drive. We followed the winding tar road for half its 100km of gravel road over the Comboyne Plateau and on down to the coast. Two up with a week’s luggage and we still had 4.5 litres of fuel in the tank after 210 km at a good clip. The fuel injection has had an upgraded map installed already, which has much improved the motor’s smooth running. There is still a little roughness as the motor comes off idle, but above that the motor feels crisp and willing. 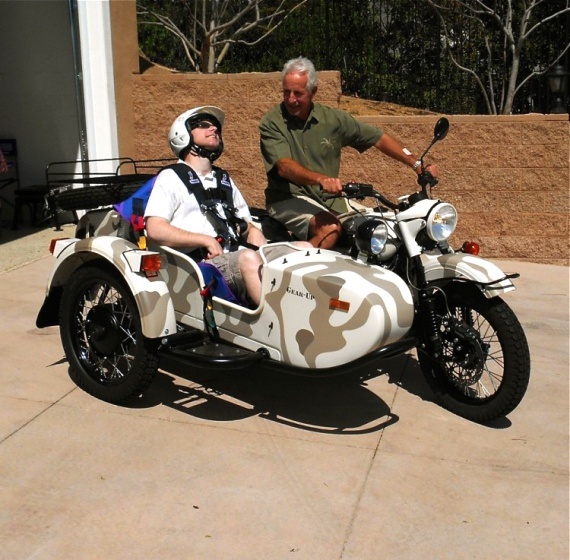 New 2014 Ural Gear Up owner, Ken from North Carolina, installed a second tractor seat so he could share his journey with his wife and son. 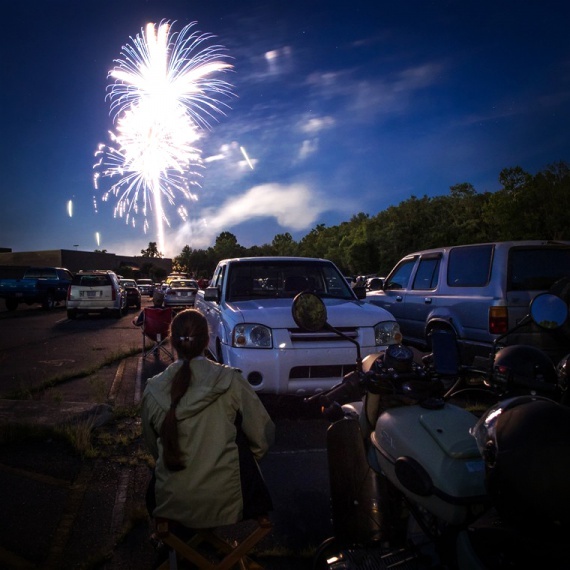 On the 4th of July, Ken and his family rode to their local fireworks show. Sometimes you just don’t need a road. On a recent trip to our factory in Russia we took bikes fresh off the line for some afternoon quality control tests. 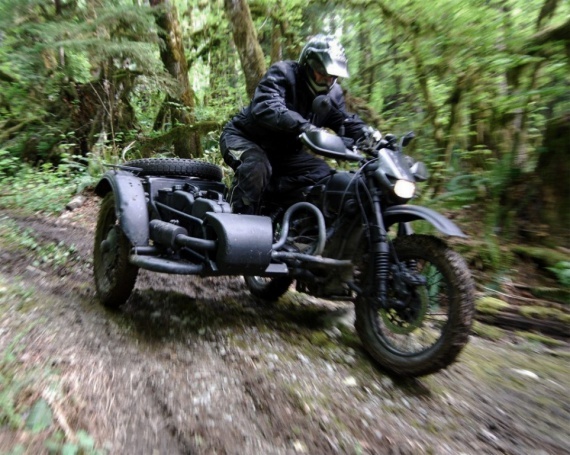 Mr. Cob racing the wilderness in his custom Ural. 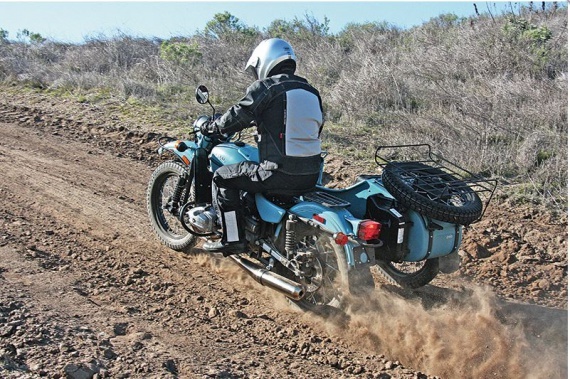 The best part of a Ural is who you can take with you, our friends at Aether Apparel, exploring California on their new Gear-Up. 21st century Urals tougher than ever. 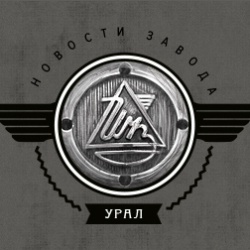 Factory managers and engineers took five 2014′s on a trip to Chistop Khrebet, the area in the northern Ural mountains near where the infamous Dyatlov Pass incident occurred. 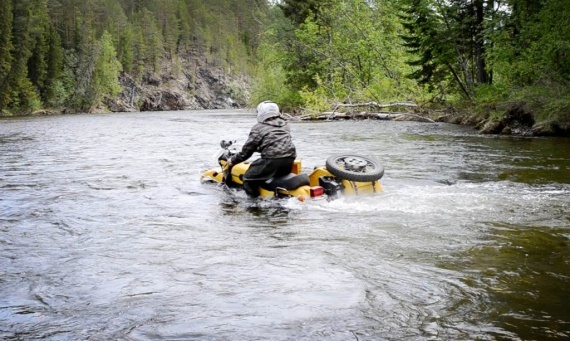 Motorcycles are stock except modified intake and exhaust system for water crossing. Hours of video from this escapade is being edited now, a short film is coming soon. In the meantime, watch this raw footage. 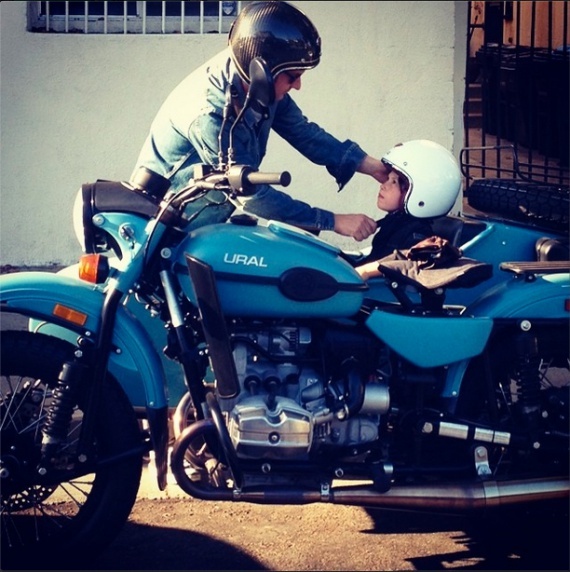 Tom and his son Brad in their new Ural Gear-Up. Brad was blinded and paralyzed in an accident when he was 18. This is the first time in 17 years they’ve been able to share their mutual love for riding motorcycles together again. Congrats guys, may there be lots of open roads for you both in the years ahead! My girlfriend, who is a Silicon Valley graphic designer and a mother of two children, uses Ural as her daily work commuter. One night, after a couple of drinks with a Canadian friend we decided on the spur of the moment to take a scenic road trip to Sierra Mountains’ historic gold mining towns via twisty back roads. Attention is a huge fun factor, besides the ride itself. 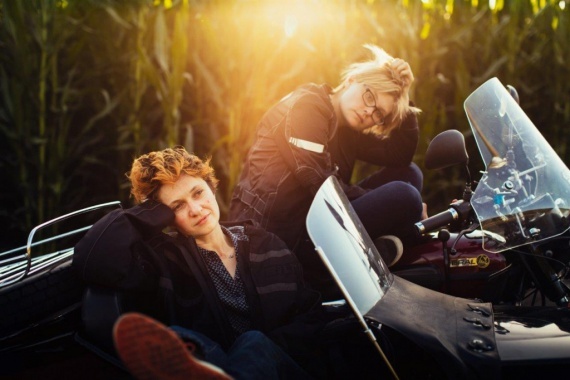 Everybody looks, many strike a conversation – three girls on a sidecar bike isn’t a common scene in this part of the world. This trip turned out to be so much fun, we are planning another excursion down Rt 1 along California coast.